A pretty famous Cinemaware title which was originally released on the Amiga, PC, Megadrive amongst others – but was also mentioned as having a C64 conversion in the works according to C&VG. The game itself was inspired by many 1950’s B movies and was very well received. 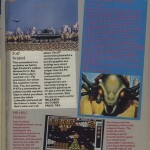 The mention of a C64 version came in a preview within a July 1989 issue of C&VG and was flagged up by Ross Sillifant. 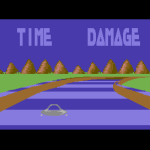 This was from the same time that Rocket Ranger was also converted, so its entirely possible that a C64 version was on the cards – but nothing really more was heard apart from this one mention. So its very much early days and we need to dig up as much as we can on it. Can anyone find an advert with the C64 specified? Or maybe you worked on the game? 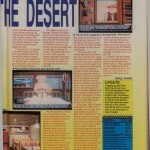 Better late than never… I don’t recall seeing anything or hearing any discussions about a C64 version of It Came From The Desert when I was at Mirrorsoft. “Biće biće” means “It will come soon”. 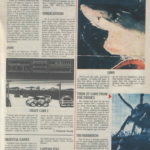 In text they mentioned game will be inspired by the horror movie “Them” from 1950’s, main enemies are giant ants, and that publishers promising biggest arcade-strategic games so far. right now, we got no material about the C64-Version of IcftD. Maybe that was planned but never developed. But we are checking the material we got from the old days. Also, C64 version mentioned (again) in C+VG review of the game.Issue 98 pages 88+89 if you want scans. * Might be worth noting that although a A Sega Mega Drive version was planned to be released in 1990, it was never commercially released, it was distributed as a ROM image (for use with console emulators) from the Cinemaware website after the turn of the 21st century.I asked Bob what happened to the planned MD release when i got chance on the RVG interview, but he could’nt recal. Thanks for confirming Ross, i’ll be honest and say I didn’t check fully, but good to hear that it got leaked.